For years Chi Energy has had this mysterious unknown factor surrounding it. The Chinese people call it a life force energy that makes up everything around us. Others have called it by many different names, like Prana, Ki, Qi or various other names, but never really explaining its essence well enough; so often it’s talked about in meta-physical ways that are ambiguous and less than scientific in nature. Now, thru enough scientific research, we understand this chi energy we are talking about is really the bio-energy that our bodies naturally emit. This bio-energy comes out in the form of bio-photons or a type of light with an electrical magnetic component to it. At the School of Chi Energy, we take students thru an intensive hands on approach to cultivating large amounts of chi energy or these bio-photons in a safe way. Using the latest information from both the scientific & medical research fields, we have put together an amazing curriculum of topics that will thoroughly cover everything a student needs to know in order to reach the higher levels in energy work. We explain to students about the unique properties of bio-photons and how harnessing them is so much easier and less hard on the body than the traditional ways of building up chi energy. Traditional energy methods rely on building up the body’s blood circulation and using the body’s hormonal flow to help with the cultivation process. This often times, lead the student thru un-necessary roller coaster type rides emotionally because of the fluctuation you go thru with a hormonal release like that. At our school, we show the student how to build up their body’s nervous system or the electrical part of their body. By building up the nerve fibers of the body, a student starts helping their body to emit more bio-photons than normal. The amazing thing about these bio-photons are their capabilities. Bio-photons can be cooled, paused in space and made to feel good which is something hormones can not duplicate. We show students how to by-pass the hormonal build up way in lieu of this much better & stronger way to cultivate energy using the electrical system of the body. If you are the type of person that is only looking for a little more energy and to keep your body in a healthy condition, than any traditional energy style should work for someone like you; but, If you are tired of not making the gains in your energy method that you think you should be making, then maybe it is time to see what our school has to offer. If you looking for something that goes way beyond what you can reach in the traditional styles taught out there, then this is the school you are looking for. Check out the things you will learn thru the school by reading our School of Chi Energy catalog. 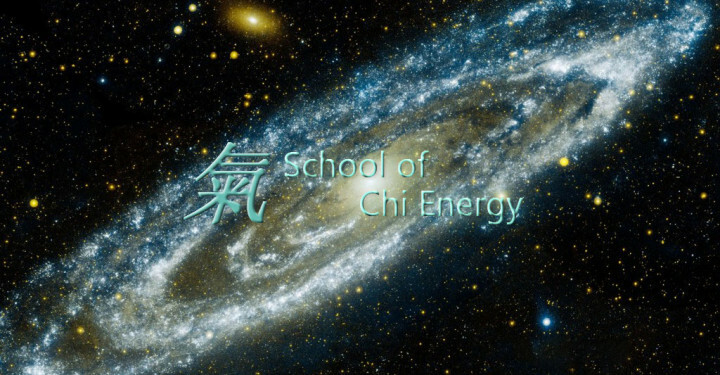 School of Chi Energy Instructors take students in a step by step way, thru the process of energy cultivation and teaching them how they will learn to perform extreme abilities using Videos, MP3s and PDFs, as their format. The beginning Nerve Fiber Building energy exercise is a low aerobic intensity exercise that a student can physically feel in a tangible way, so they can feel their energy build up as they practice. Students are given help all along their journey to the higher levels. Please check out our School of Chi Energy Method and see if a school like ours would be right for you.